Research and innovation have a long tradition in Saxony-Anhalt: In 1654 the universal genius Otto von Guericke experimented with the hemisphere experiment to visualize the vacuum, 100 years ago the foundations of seed breeding were laid here and in the 20th century the first colour film was developed here as well. Today, Saxony-Anhalt is the centre for pilot plants in the field of bioeconomy. 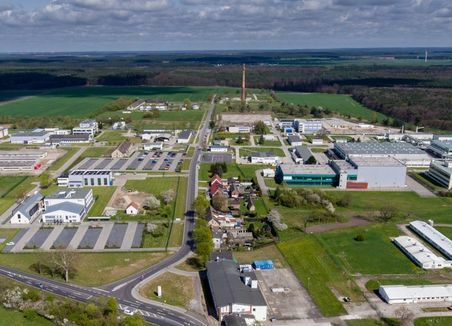 Saxony-Anhalt has one of the densest research landscapes: Six Fraunhofer Institutes, five Leibniz Institutes, three Max Planck Institutes, two Helmholtz Centres, two universities and eight universities of applied sciences are located here. “The concept for the development of new active ingredients and ultimately new medication is that these substances interact with a biomolecule, usually a protein or an enzyme, and this results in an effect that can be used therapeutically,” says Professor Dieter Schinzer from the Otto von Guericke University Magdeburg in Saxony Anhalt, Germany. At the Institute for Chemistry, the Chemistry Professor Dieter Schinzer is looking into the synthesis of natural substances and active ingredients and their interactions with biomolecules. In a collaboration involving the Institute for Chemistry at the Otto von Guericke University Magdeburg, the Helmholtz-Zentrum für Infektionsforschung (HZI) and a pharmaceutical company, it is currently being attempted to develop a new broad-spectrum antibiotic based on natural substances. The background is the dilemma of antibiotic resistances and increasing numbers of gram-negative bacteria emerging, for example multi-resistant “hospital germs”. “We are developing a flexible synthesis to optimize existing biotechnological processes and therefore devise a substance that specifically acts against gram-negative bacteria,” says Professor Schinzer. The development of a dual active ingredient against cancer is an important field of work in immunocology . The dual active ingredient attacks cancer cells on the one hand, just like chemotherapy, but also has an immune stimulating effect with which the body’s own defence system is used on the other hand. The focus of the current research is to mobilize the immune system to generate long-lasting success and it has developed into an important new hope in cancer research. The project is based on an international collaboration with cell biologists from Norway, the University of Siena and EHT Zurich. 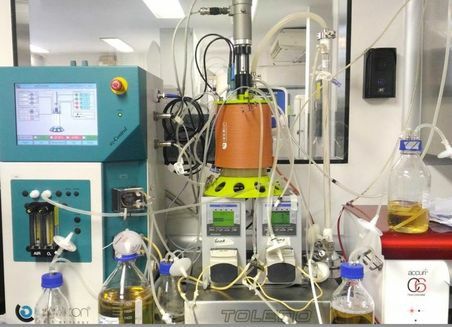 The Leibniz Institute of Plant Chemistry (IPB) is busy researching the development of active ingredients, biocatalysts and processes to produce and optimize them. The focus is on analyzing natural plant substances, their biological significance and examining the molecular mechanisms on which these interactions are based. A library of more than 15,000 own natural substances, derivatives and extracts and over 5,000 organism samples and pathogens that are used for the development of pharmaceuticals and plant protection products or in the F&F field serves as the basis. The team led by Professor Ludger Wessjohann is currently researching flavorings and flavor modifiers, among other things. “We have developed a process with which we can biotechnologically produce substances that mask bitter flavors or enhance sweet flavors. We use the easy to extract raw material naringenin from lemon peel for this and convert it into the active ingredient Homoeriodictyol (HED) using biotechnological processes,” says Professor Wessjohann, Managing Director of the Leibniz Institute of Plant Biochemistry. HED is a natural product that acts as a bitter blocker without influencing the flavor itself. As it is not readily available in nature and therefore expensive on the market, biotechnological production is of advantage. “We have developed both an in-vitro process where enzymes take over the conversion in an enzyme cascade and a process where we have put enzymes into an organism that eats the waste product naringenin and converts it into the flavor modulator HED,” he adds. 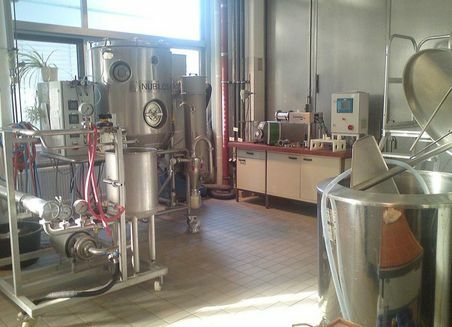 The flavor modulator is then used in the pharmaceutical and food industry, among others. At the Max Planck Institute for Dynamics of Complex Technical Systems, the Bioprocess Engineering research group is concentrating on one important aspect of red biotechnology: the production of virus vaccines. One key topic there is the Zika virus. There is currently no vaccination against the Zika virus available. If an effective vaccine is developed one day, it will be necessary to be able to produce it on a large scale quickly. To enable this, the viruses must first be propagated in living cells, from which live attenuated or inactivated virus particles can then be obtained for use as a vaccine. Working in cooperation with a team of researchers from the Universidade Federal do Rio de Janeiro, researchers in Magdeburg have now for the first time succeeded in producing large quantities of Zika viruses in the laboratory – a crucial prerequisite for the initiation of immunological studies, the development of diagnostic tools, and the production of vaccines. The focus at the Leibniz Institute of Plant Genetics and Crop Plant Research (IPK) in Gatersleben is currently on the BRIDGE project. A database interface is being developed under the title “BRIDGE: Biodiversity informatics to bridge the gap from genome information to educated utilization of genetic diversity hosted in Genebanks”. The Federal ex-situ Genebank based at the IPK is to be further developed into an integrated resource center with this. The planned BRIDGE Data Warehouse will link genotype and phenotype information to the individual crop plant samples in the Genebank thus enhancing the scientific and practical value of the collection. For example, there are roughly 25,000 barley seed samples collected and kept in the IPK Gatersleben Genebank at the moment. Until now though the availability of additional information on the collections has been poor and the selection of suitable samples for specific research and breeding projects has therefore been associated with a great deal of time and expense. The entire IPK barley collection is being characterized with the help of genotyping by sequencing (GBS) to mainly support the quality, efficiency and viability of maintenance management. Making access to this data easier allows for it to be used along the entire value chain. 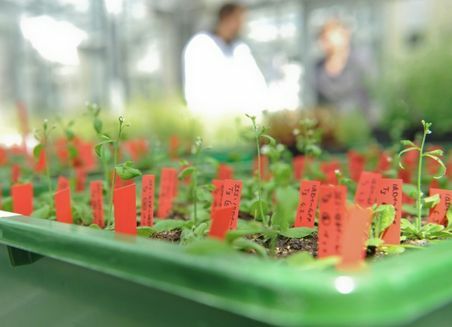 The project is being supported by a close collaboration with the Leibniz ScienceCampus “Plant-Based Bioeconomy” in Halle and promotes the education of young science talent in the field of biodiversity genomics. Rapeseed contains two main storage proteins: an albumin in the form of napine and a globulin in the form of cruciferin. These are very different in structure, nutritional physiology and techno-functional properties and are therefore suitable for various areas of application. Currently, rapeseed proteins are only used in animal feed, as previous processes for the production of rapeseed proteins have not been implemented on an industrial scale. They are also designed to produce canola proteins as a concentrate or isolate, which always contain both proteins. Separation and use of the individual proteins was previously not possible. The team of Pilot Pflanzenöltechnologie Magdeburg e.V. in cooperation with Axara Consulting has developed a new process with which high-purity canola protein fractions can be obtained and separated. For the first time it is possible to isolate Napin with a purity of 98 percent and Cruciferin with a purity of 95 percent. The fractionated canola proteins are of particular interest for the food industry, biochemistry, pharmacy and cosmetics. In addition, the Napin could replace animal albumins in various applications in the future. The project won first place in the special category Bioeconomics of the Hugo Junker Prize for Research and Innovation from Saxony-Anhalt in 2015. Synthetic biology is the recombination of different building blocks of life to create biological systems that do not exist in nature. Molecules, cells and organisms with new properties are wrapped up for this purpose. The project of the Leibniz Institute of Plant Biochemistry is about a completely new biosynthetic method that makes it possible to build small, molecular factories in individual plant cells. These micro factories are set up "at the touch of a button" to produce biotechnologically or therapeutically relevant molecules during the normal growth of plants. The team of the junior research group uses complete plants or leaf hairs, as known from nettles and geraniums, to carry out the biosynthesis of protein molecules and chemical substances. Such leaf hairs are known for their high metabolic activity and formation of bioactive substances - perfect micro factories. A novel formula based on the enrichment of proteins enables the targeted control of their activity and function as well as the formation of the mentioned micro factories as individual plant cells. In the future, this innovative application could lead to improved "nature-identical" production of active ingredients in plants and allow biosyntheses that are too complicated for chemical synthesis laboratories. 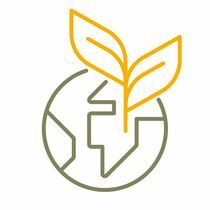 The aim is to advance biobased production of pharmaceuticals and industrial raw materials within the framework of molecular farming in plants. The project won third place in the special category Bioeconomics of the Hugo Junker Prize for Research and Innovation from Saxony-Anhalt in 2015. Saxony-Anhalt has one of the densest research landscapes in Germany - and our research landscape relies on collaborative research. Existing collaborations between the Martin Luther University Halle-Wittenberg (MLU) and non-university research institutions have already resulted in centres such as the Science Campus for Plant-Based Bioeconomy, the Interdisciplinary Centre for Crop Research or the German Centre for integrative Biodeiversity Research (iDiv). At the Research Center Dynamic Systems (CDS) of the Otto-von-Guericke-University Magdeburg (OvGU) scientists are working on gaining a fundamental understanding of complex dynamic systems in biomedicine, chemical production systems and processes of energy conversion. Political scientists in Magdeburg are also working on bioeconomics, for example in the Bio-Ökopoli project. 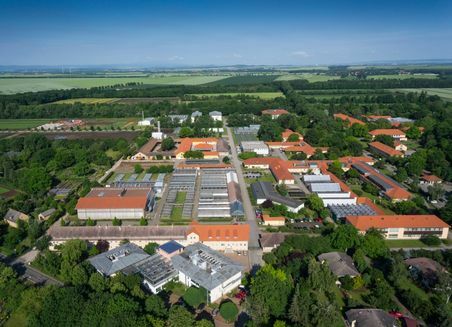 However, it is not only the young academics in Saxony-Anhalt who are being cared for; the Gatersleben biotechnology campus will now also be offering vocational training in "plant technology" in addition to master craftsman training.